Don’t throw out the greens of your root vegetables when they’re young and fresh. Most of those leaves are edible and so are the stalks in many cases. In previous posts, I’ve made pesto of young radish leaves served with sautéed radishes, celeriac soup using the stalks, leaves and roots, beets served with beet greens. 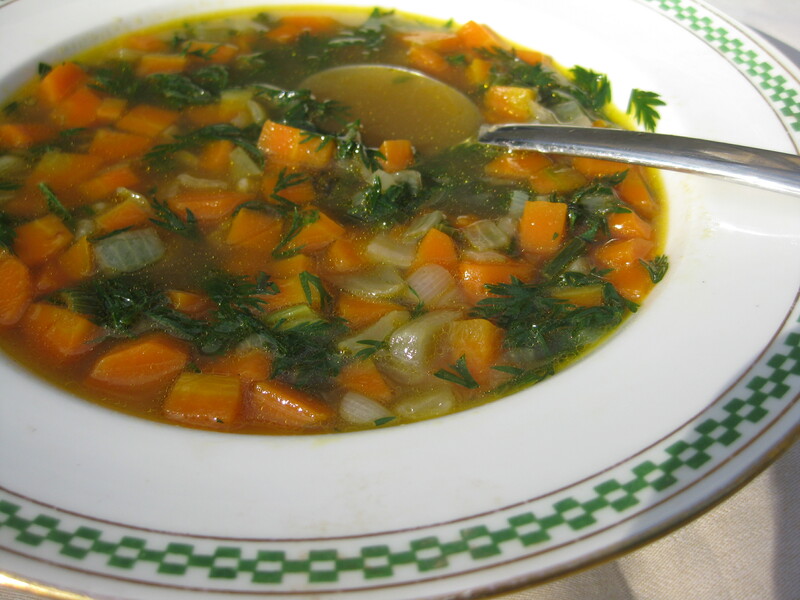 I also make turnip soup with turnip greens, and serve those greens, as well as beet greens, as a vegetable or salad. The same is true in reverse. The roots of green herbs like cilantro and parsley are flavorful additions to certain dishes. 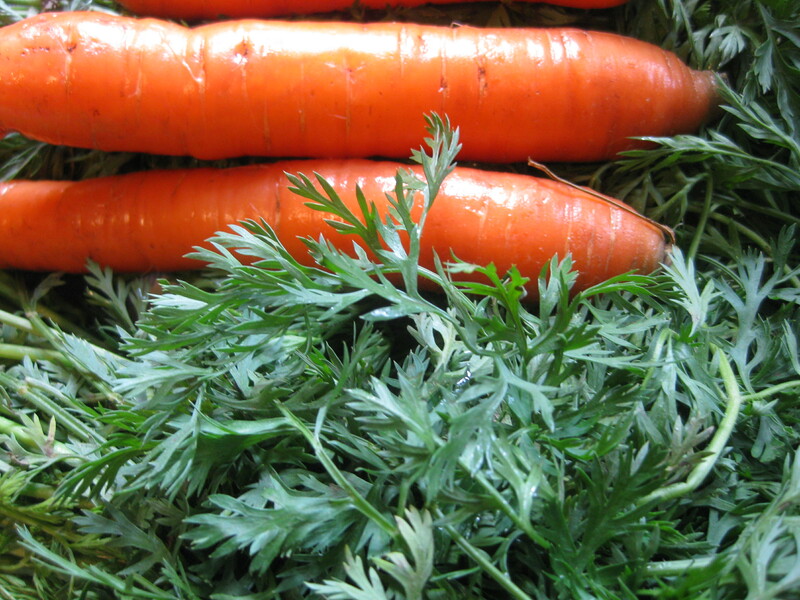 This week I came home from the CSA farm with an armload of carrots with beautiful, tender tops. Here is a delicious soup that can be made with either vegetable or chicken stock, deepened in flavor by the addition of a rind of Parmesan cheese while simmering. (When I add cheese, I use butter for sautéing the vegetables but otherwise use olive oil.) I added finely chopped carrot leaves to cook during the last five minutes and could have used even more if I hadn’t already ground them up into pesto. Cook the vegetables slowly in the butter or oil. Add the broth and cheese rind and simmer until the carrot is softened but not mushy, 10 minutes or so, Add the carrot greens and cook for about 5 minutes or until the greens are tender. Season with salt and pepper to taste. Serve hot, sprinkled with a little grated Parmesan cheese.